Oh the color! 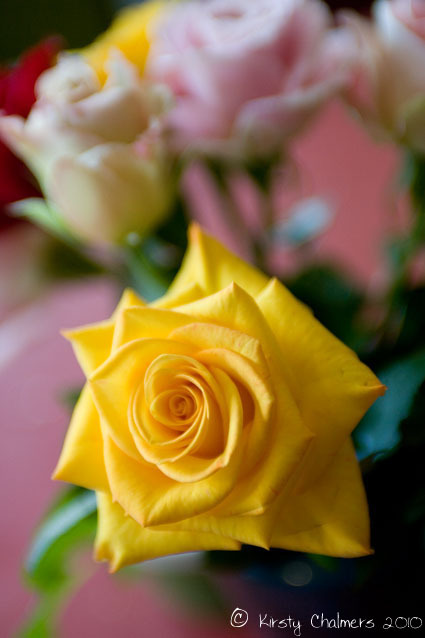 The clarity of the yellow rose unfolding makes my eyes strain to see the detail in the shapes behind. Quite tantalizing and beautiful, Kirsty! Primary colors with a hint of green composed beautifully! Thanks Leslie. Amanda has a wonderful eye for color so her cafe is always a visual delight! Great to ‘hear’ from you again.